When you’re always on the move, you need to carry your essentials with you in a spacious but small, and above all, well-organised suitcase. 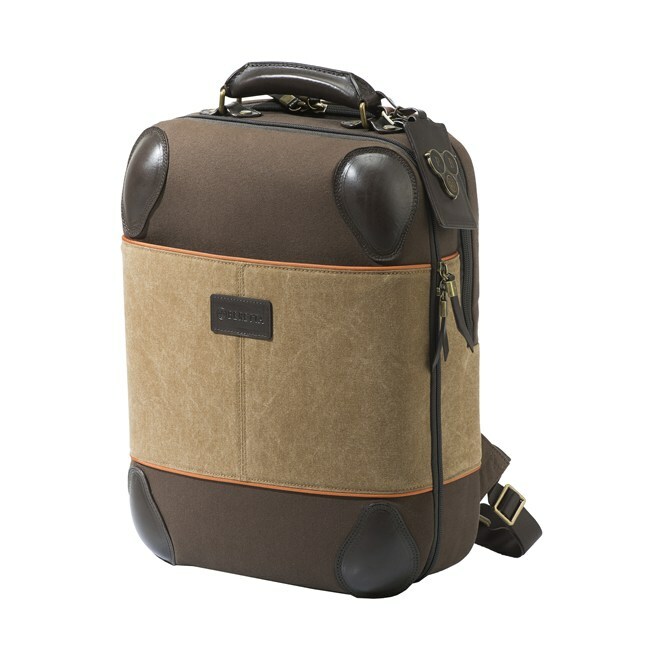 The new range of Beretta luggage was created for those who constantly travel for work or for pleasure. The cabin size trolley and the backpack, both made from canvas with luxurious Italian leather details, are reminiscent of an iconic Beretta design, in their camel and dark brown colours and their orange trim. They can be combined and transported together by means of an attachment on the rear of the backpack, allowing you to travel with maximum ease. The suitcase contains a clothes carrier bag with a clothes hanger, to protect the garments that need to be taken out ready to wear. Style and functionality are combined in this range that will change the way you travel. 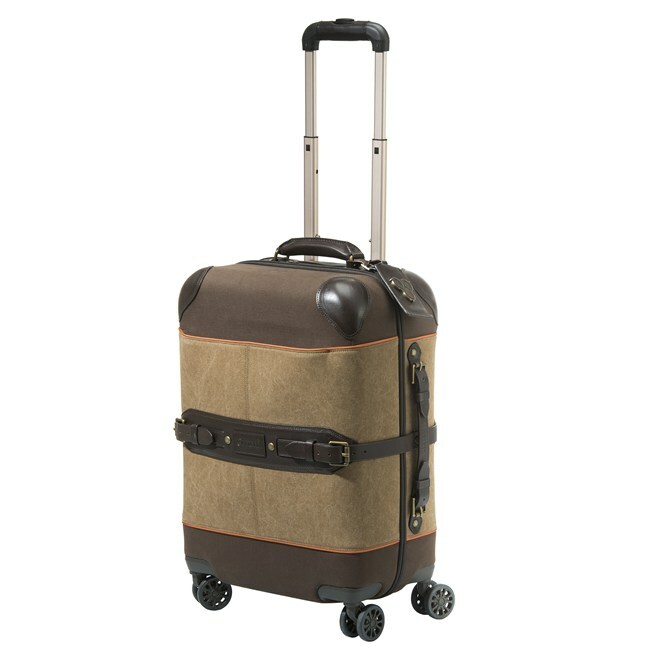 4 WHEELS CABIN TROLLEY IN CANVAS COTTON WITH ITALIAN LEATHER DETAILS.